Today we met up with some friends at a play ground that we hadn't been to before. 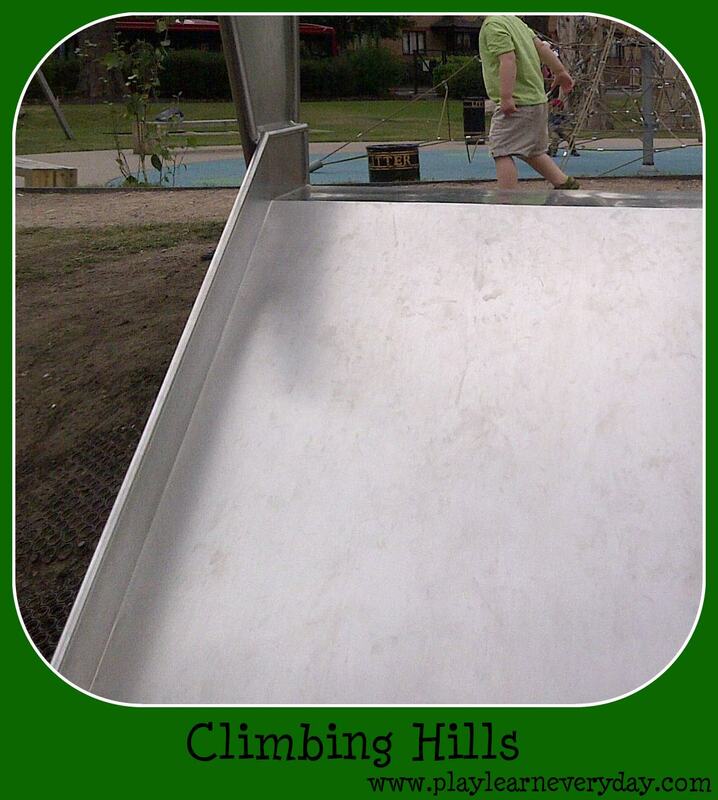 There were lots of new things to explore, including a big hill in the middle with a slide built right into it. 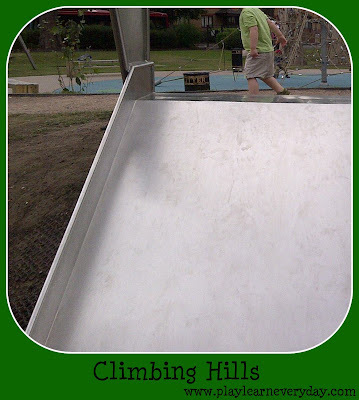 It's fantastic, children can climb up the stairs, slide down the slide and climb up and down the hill, fantastic for Physical Development. Ethan was slightly hesitant at first, asking for help to climb up the steps and go down the slide. It didn't take long though, until he was climbing up and down the (quite steep!) hill all by himself! I would try to get to him in time to hold his hand, but if I was at the other side I was just too slow to catch him. It was a good lesson for me too, as he really is independent enough to do that sort of thing by himself. My little boy is growing up!